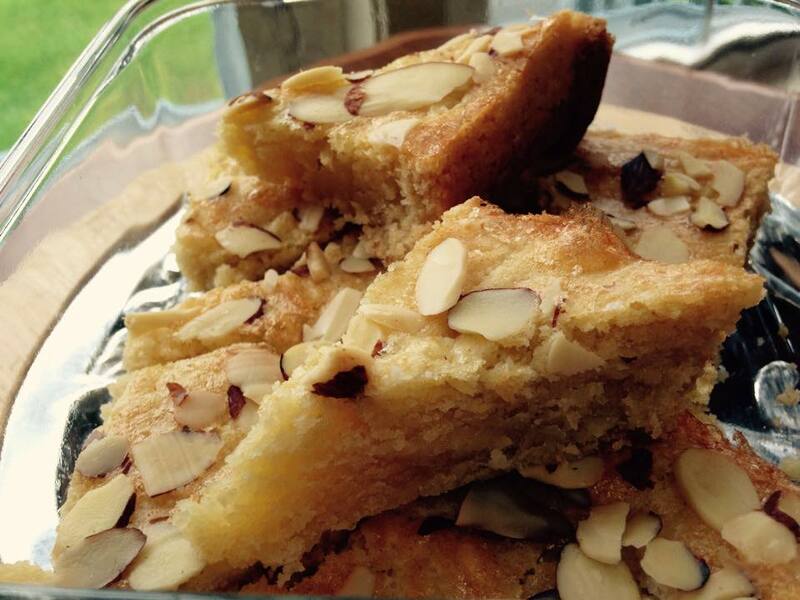 If you like almond shortbread–and who doesn’t–you’re gonna love Dutch butter cake. 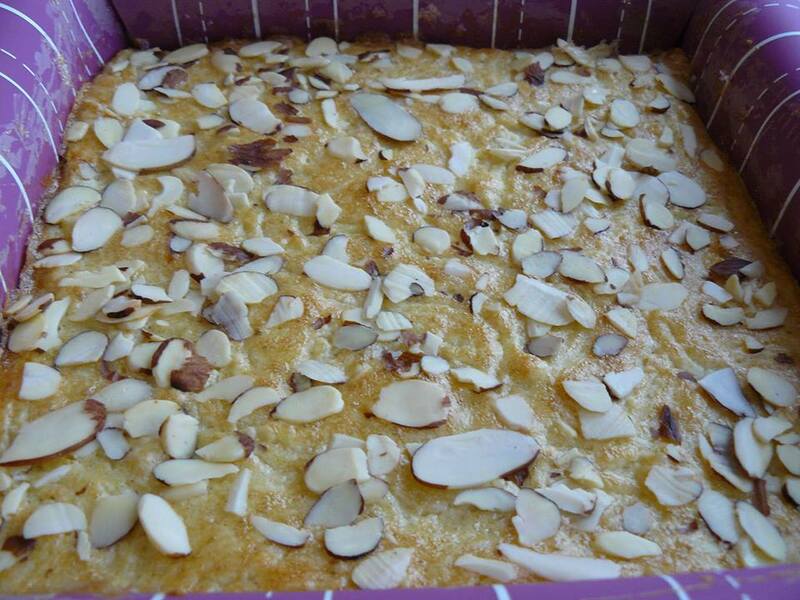 It’s ultra-rich, with a generous dose of almond extract and plenty of sliced almonds on top. I understand it’s even better the next day. This is a little tough to imagine as it was quite wonderful when I baked it this morning. Other recipes call for unsalted butter and less salt. But baked goods without enough salt taste like something is missing–to me, anyway. All that’s missing here are the portions I couldn’t stop eating this morning. Let’s butter cake it up! With a stand mixer, cream butter and sugar together. 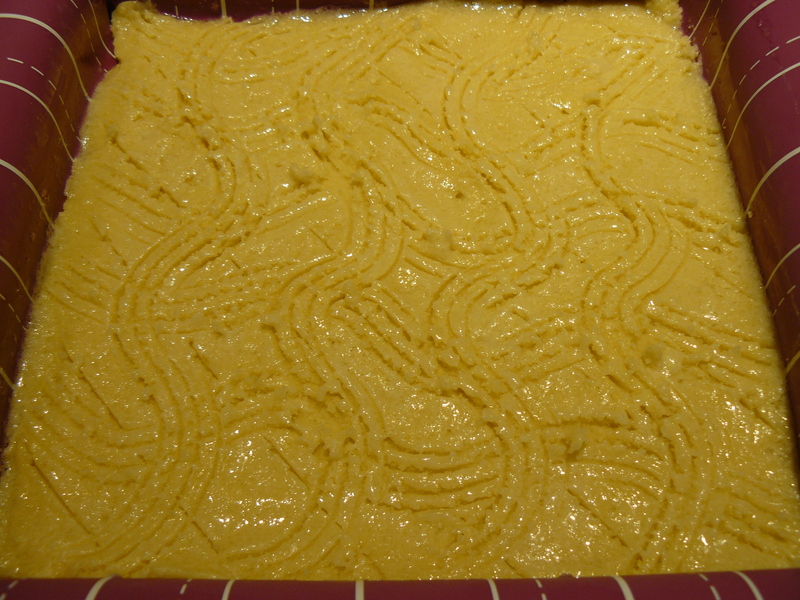 Beat in egg yolk and almond extract. Add flour, baking powder and salt; combine till well mixed. Press evenly into 8 x 8 ” pan. I lined my pan with a silicone liner. Brush top with beaten egg white and set aside for 30 minutes. Brush with egg white a second time. Use a fork to make a grid pattern if you wish. It will be hard to see under the almonds, but is kinda fun to do. Sprinkle with sliced almonds. Bake in preheated 350 degree oven for 35 minutes until golden brown. Resist the urge to eat a whole row on your own. Package ’em up and share them–quick-quick!